We all struggle for attention in life. We all want to be powerful, wealthy, and well liked amongst our peers. Becoming an expert in something most often means to a lot of people that you’ve gotten to that point and that you have achieved it. So why is becoming an expert in anything important to you? Well what is important to understand is that if you ever reach an expert status, it is not a onetime deal. It’s an ongoing process. Believe in yourself. If you believe you can do something, then you can. Set a list of goals that you want to achieve in your new job or anything else for that matter, stay inspired to continue the course and then well….just get it done. Nike had it right when they say “just do it!” Keep a list of standards, your standards, and remember to always tell yourself that you can. Positive self reinforcement is always an excellent tool in helping to keep yourself on track. The next major step is to consistently check in with yourself as to how you think you are doing in trying to achieve your goals, and adjust your behavior and actions accordingly. During this experimental stage, if you feel as though you aren’t doing something right, simply change the behavior slightly, or majorly, depending on the behavior, before it becomes a habit. Keeping yourself on track by continually assessing your performance will ensure that you are doing everything right that you possibly can. 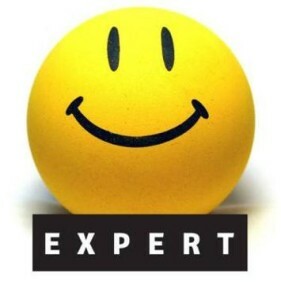 The final step which is really an understanding, is that you can’t expect to have expert status inst antly. You can, however, expect minor set backs and some struggle along the way. If you start to notice yourself becoming frustrated, instead just stay the course and work through it remembering the end goal: to become an expert. The best thing to realize is that no one can be an expert at something without doing the work and taking action. That just makes logical sense, doesn’t it? So while it may be discouraging at first to have to start over and work towards expert status from the beginning, especially if you are doing something new or starting a new career and profession, just be patient with yourself and you’ll experience being back on top. I can imagine that once you do, you’ll feel great!